Are you a modern parent? Are your kids in charge? Have they taken over the house? Do they decide the rules and what they'll do. I am looking at a quiz in my dentist's waiting room, "Are you a modern parent?," they want to know. Certainly my business, but since they brought it up, then I would tell them that I don't even have to answer a single question they pose to know. Ask me instead, parenting magazine, about Yabadabadoo Parenting. Modern Parenting may work for the young and energetic and anxiety-less. But for a personality type like mine—my one goal has always been to prevent injury to anyone in my care—I'm not signing any laissez-faire treaties with my kids nor leaving anything up to them. With the things I stand for, like child labor at my house, you can see why MP won't work. My children endure Stone Age shoddy conditions, like days without shoes, occasionally missed showers, and let's do one turkey leg for everyone for dinner. This house is in the time vortex of Pebbles and Bamm-Bamm. If I sound strict to my kids, it's not my firmness they hear, it's my diminished hearing from being old as the trees. If my kids appear to listen to me, it's because my staccato delivery comes from multi-tasking while talking on the phone, typing on the computer, and making dinner during helping with homework. Aged brains are foggy brains... we can't say too much when we're doing too much. According to any parenting quiz, my answers will always land me deep in the traditional parent camp. But that's not by choice, but more default of fatigue from years. Modern Parenting can be summed up this way: work. And this mama is too tired for the deliberate choices and options weighed method--that takes energy, people. I know traditional parenting is falling away, but it's the easy way out for me. What works easily, is speaking the way I need to, to get the 24 things I have to get done when I know I'll only get to 3. I don't try to outwit or talk it out in reason with my kids. Since I first brought them home, they were like my new 19 inch tall life-partners. When they got older, if they asked for a banana before a meal because they were hungry, I let them, because what better reason is there to eat than you're hungry? After all, I was never one to finish my dinner growing up and I hated being made to, so I don't make them, either. What it comes down to is that I remember a lot of things about being a kid. One of the biggest things was how much it made me crazy to be treated like a kid. On that account, I talk to my children like co-workers. “Should we eat now? No? You just had a banana? Ok.” And we have no negotiation because by the time we enter into voting our choice, I'm back to asking, "What was the question?" You know, the more I think about this the more positive I am that maybe I'm not Traditional Parent at all. 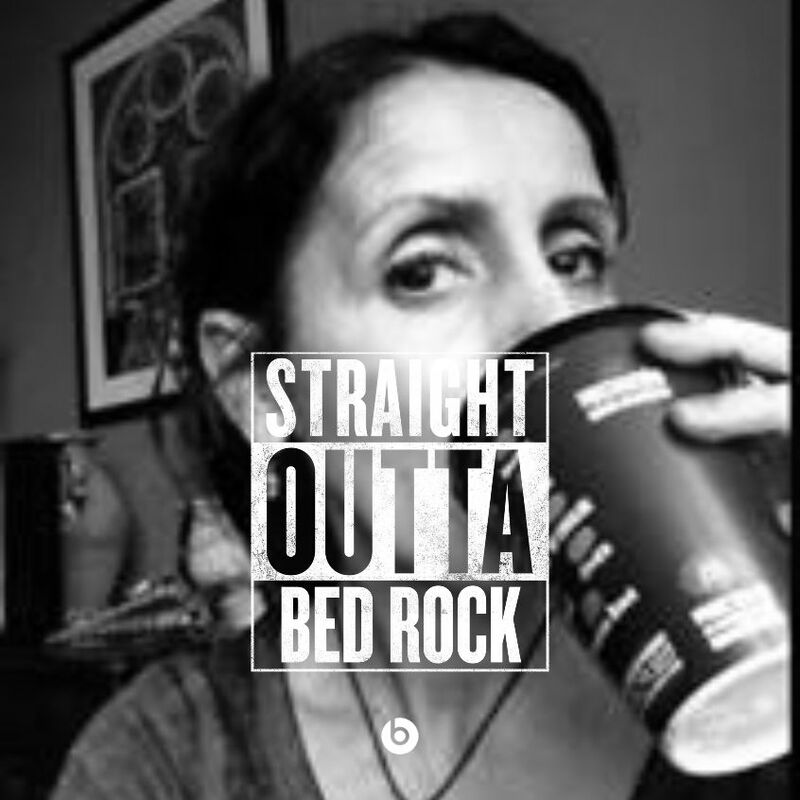 I think I'm more Straight Out of Bed Rock. I don't know what century my parenting belongs to. I only know that it pisses off my older sister-in-laws, which, in my mind, says that I am doing something right. You are understanding that just right. Loved this post. And totally laughed out loud (with you) especially here: "Do my kids hop to it when I tell them it's time to go somewhere? Yup, they do. But it's not fear as much as they know I'll leave thinking they're already in the car. It's happened." You are the sweetest, Nina. Thank you.